Here at MIA Acupuncture, we recognize that health is so much more than the absence of disease. There is absolutely nothing more important than getting proactive about your health, investing in your well-being, and choosing a lifestyle that will cultivate a joie de vivre. Our mission at MIA Acupuncture is to support you in this process. Since 2010, our practice has helped hundreds of people with issues such as chronic pain, sports injuries, women’s issues, insomnia, depression and much more. TRADITIONAL CHINESE MEDICINE COMES TO South Florida! 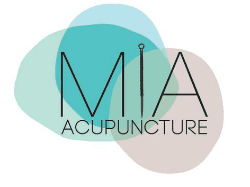 How can you support MIA Acupuncture? By ordering your supplements, vitamins and herbs through MIA Acupuncture's new portal! How will i benefit from ordering through MIA Acupuncture's Portal? Get the supplements you need from a healthcare practitioner you trust. Danielle is the best !